Completing an attic crawl space may appear daunting to home improvement novices, but it requires little more than basic carpentry skills. This project adds energy efficiency, storage space and possibly an additional room to your home. Finishing an attic crawl space requires completion of three areas -- the floor, walls and ceiling -- all using a similar approach. Finishing an attic crawl space requires patience and planning. 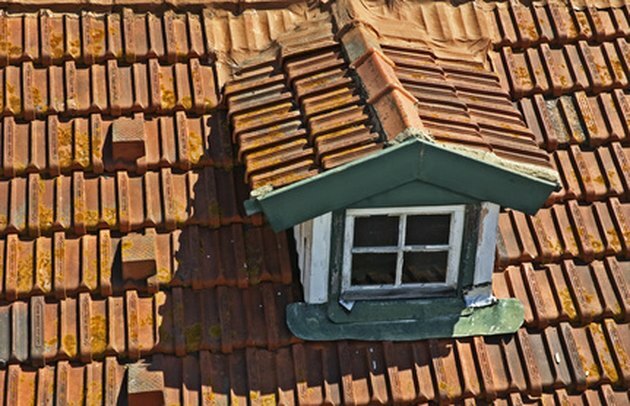 Visit your local municipality's building services department with a plan for the finished attic. Complete any necessary paperwork to acquire a permit before starting construction. Ensure adequate lighting by setting up a cordless carpenter's lamp near the work area. Use a tape measure to determine the attic's square footage, subtracting any space for ducting or other permanent structures. Keep a detailed ledger of all measurements using a pencil and paper. Based upon the total square footage, determine the number of 4-inch by 8-inch plywood sheets required to finish the attic floor. Ensure you have enough materials before starting this phase of the project. Make a platform to work on by laying plywood sheets across the runners from the room's entrance to a corner of the attic. Temporarily attach the plywood sheets to the floor joists using a hammer and four ring shank nails at each corner. 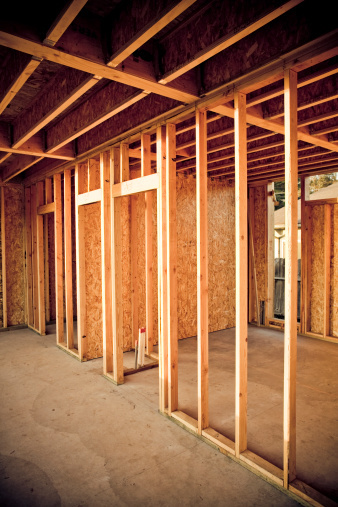 If desired, place new insulation between the floor joists before attaching plywood. Measure a corner area and cut a piece of plywood to fit using a table saw. (A cut may not be required depending on the area's particular layout.) Always use goggles to protect your eyes when cutting plywood. Attach the plywood to each floor joist using a hammer and ring shank nails. Space the nails two to three inches apart. Continue laying and attaching sheets around the perimeter of the crawl space. Measure and make any cuts to the plywood as necessary. Always use goggles to protect your eyes when cutting plywood. Lay and attach plywood to the area inside of the perimeter, measuring and making cuts where necessary. Replace the temporary plywood sheets with permanent pieces attached to each floor joist using a hammer and ring shank nails. Space the nails two to three inches apart. Use a tape measure to determine the total square footage of the walls. Account for windows or other permanent fixtures like protruding vents and ducting. Use the total to determine how much plasterboard is required to finish the walls. Ensure you have enough materials before starting this phase of the project. If desired, place new insulation between the wall runners before attaching plasterboard. Mark measurements and score the front side of a plasterboard sheet using a craft knife and metal straight edge. Snap off extraneous pieces to fit measured area. Use plasterboard nails to attach the sheet to the wall joists. Space the nails every two to three inches apart. Complete these steps until each wall is covered with plasterboard. If desired, place new insulation between the runners before attaching plasterboard to the ceiling. Measure the ceiling's square footage, taking into account fixed structures. Use this total to determine how much plasterboard is needed to complete the ceiling. Ensure you have enough materials before starting this phase of the project. Climb a ladder and measure a corner of the ceiling area. Be sure the ladder is firmly placed on a flat surface so that it does not fall. Use plasterboard nails to attach the sheet to the ceiling joists. Space the nails every two to three inches apart. Complete these steps until the ceiling is covered with plasterboard.